If you know how to read the stock market then your chances of making money from it are greatly improved. People get interested in stocks because they hear about the potential money that can be made from the market. 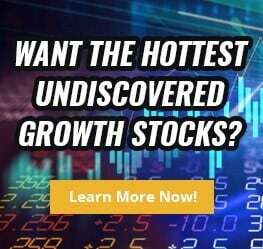 Thousands of different stocks are traded daily, for someone new to investing, picking which stocks to buy and sell can be very overwhelming at first. However, that shouldn’t discourage you. Investing in the stock market is one way that an individual can generate wealth, sometimes, wealth beyond their imagination. That said, U.S. stocks are experiencing the longest bull market in history, but nearly half of Americans don’t have a single dollar invested in them, according to a Gallup study. If you want to be able to read the stock market you’ll have to pay attention to a number of other markets that make up the financial system. They include: the bond market, currency market, and commodities market. The bond market consists of three types of debt instruments: treasuries, corporate bonds, and municipal bonds. The federal reserve bank sets the target for the fed funds rate. That’s the same interest rate that banks charge each other for overnight loans. When interest rates are low, businesses are more inclined to borrow money to grow their firm. Now, when interest rates are low, investing in bonds becomes a less attractive alternative to investing in stocks. Given these dynamics, institutions closely follow the actions of the federal reserve and the interest rate market. The U.S. dollar has been a stable currency for decades. However, that can’t be said for other nations. A currency crisis has the potential for a contagion to occur. Paying attention to the currency markets is helpful. The largest shareholders of stock are financial institutions. For example, as of June 30, 2018, the Vanguard Group, a registered investment advisor with over $5.1T in assets, is the largest shareholder of Apple stock. Vanguard is the largest provider of mutual funds and owns over 300M shares of Apple. The second largest Apple shareholder is Blackrock, the world’s biggest investment advisor with over $6.3T in assets. When financial institutions take a stake in a position they are looking to hold on to that position for a year or longer. If you’ve got a longer term horizon than it makes sense to follow the economy and politics. The stock market remained strong after Donald Trump was elected President of the United States Of America. That said, he has the ability to move stocks by one single tweet. If you are an active day trader trying to read the market than you must follow the President’s twitter account. His tweets have affected the following industries: steel, auto, healthcare, tech, aviation, entertainment, sports, defense, and retail to name a few. The president has the potential to move the entire stock market when he talks about international trade and national defense. Institutions also follow economic indicators like: ISM Manufacturing; International Trade; Jobless Claims; Employment Situation; PPI; CPI; Retail Sales; Housing Starts; Existing Home Sales; FOMC Meeting; GDP; Durable Goods and Personal Income. For the most part, economists do a lousy job of predicting the future. Regardless, keeping up with economic headlines is good if you’re an active trader. Sometimes a good or bad economic report can temporarily influence market sentiment for that trading day. Now, some traders will tell you that following the news is a waste of time. In their eyes, price action tells the story. Instead of bothering with analyst reports or sifting through financial statements, technical traders focus on price and volume to generate trade ideas. Traders can develop trading strategies based on technical analysis. For example, trend trading is a strategy in which you identify if a stock price is moving upwards or downwards and then taking a position in the direction of the trend. In the month of October 2017, NVIDIA Corporation hit an all-time high of 39.67. Now, that high held up until May 13, 2016, where the stock eventually broke through all-time highs and closed at $40.98. Buying a stock in a bullish uptrend is a common trend strategy. Let’s say you decided to buy $10,000 of NVIDIA stock a couple weeks later, at an even higher price, $46.72. As of Aug 31, 2018, that $10,000 investment is worth over $60,000. There are several technical indicators that traders use to help them identify if it’s the start/end of a trend, direction and strength of trend. There are even indicators that attempt to tell us if a stock is overbought or oversold, and if its likely mean-revert.Some traders take a contrarian view. If a stock is trending too strong, they’ll look to take the opposite side in hopes the trend reverses. Technical analysis can be applied to day trading as well as swing trading. Most investment advisors make their decisions based on fundamentals. But if you’re trading short-term, using technical analysis can be helpful. Analyzing stock charts can help you pinpoint areas of support and resistance, as well as, help you decide which areas look like decent entry and exit levels. No one can predict the markets all the time. The key to trying to reading the market is to be humble. It’s okay to develop a thesis or trade idea, but also develop a plan in case your idea is wrong. The largest players in the market are buying and shorting stocks with the idea of holding on to positions for 12 months or longer. That said, stock prices fluctuate on a daily basis. Short-term traders should try to identify market sentiment before making any trades. Remember, you’ll make your most money by figuring out what the crowd is doing, the earlier you discover that the better. Some investors will tell you that buying a stock at its highs make them uncomfortable. However, you can never underestimate how high or low a stock can go. Become a student of the market, and try to read it the best you can. The market is bigger than all of us, be flexible and able to admit when you’re wrong.